rich, creamy, spicy, sweet goodness. soba are japanese buckwheat noodles (in case you can’t read the picture). 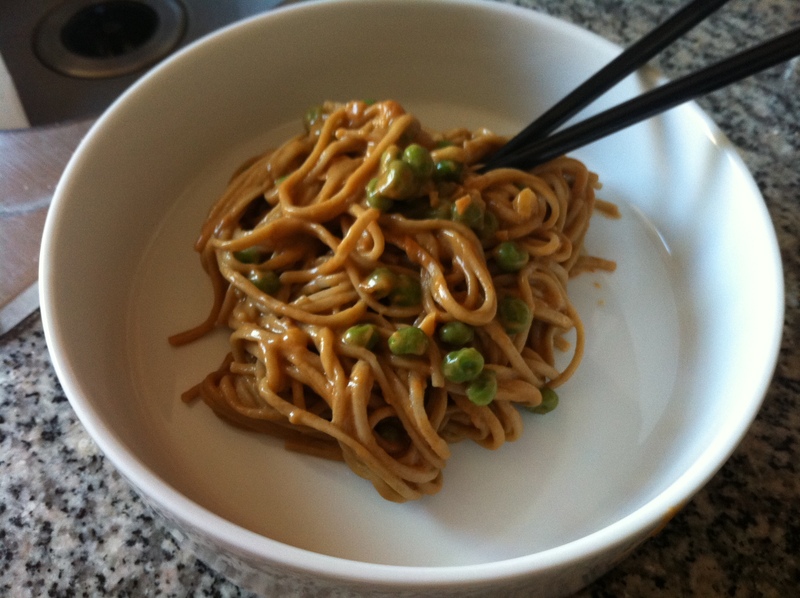 i like the texture of soba best for this, but you can use whatever pasta you have on hand. 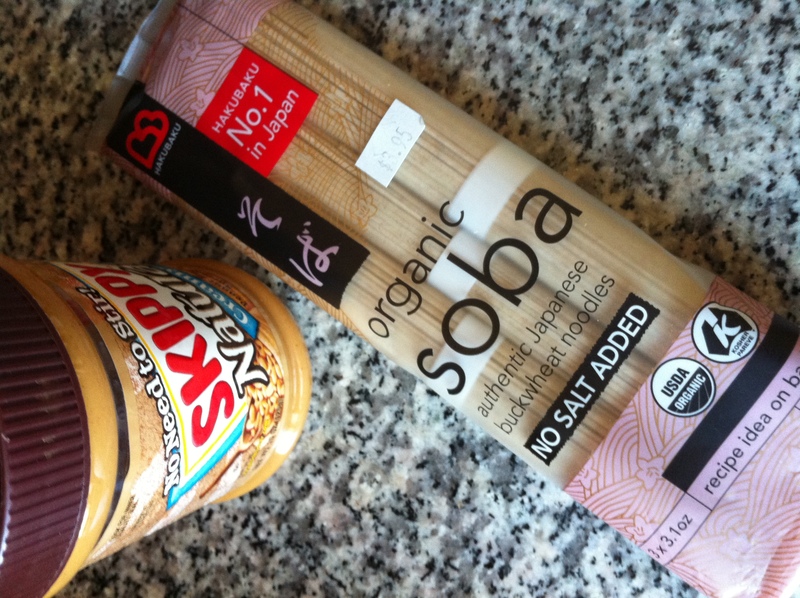 these peanut butter soba noodles are a great quick and easy dish because all of the ingredients are pantry/refrigerator staples! boil the pasta and when the pasta is almost done, throw in the peas to heat them through. strain, reserving some of the water, and put the empty pot back on the heat. heat a little bit of oil over medium heat and add the garlic. 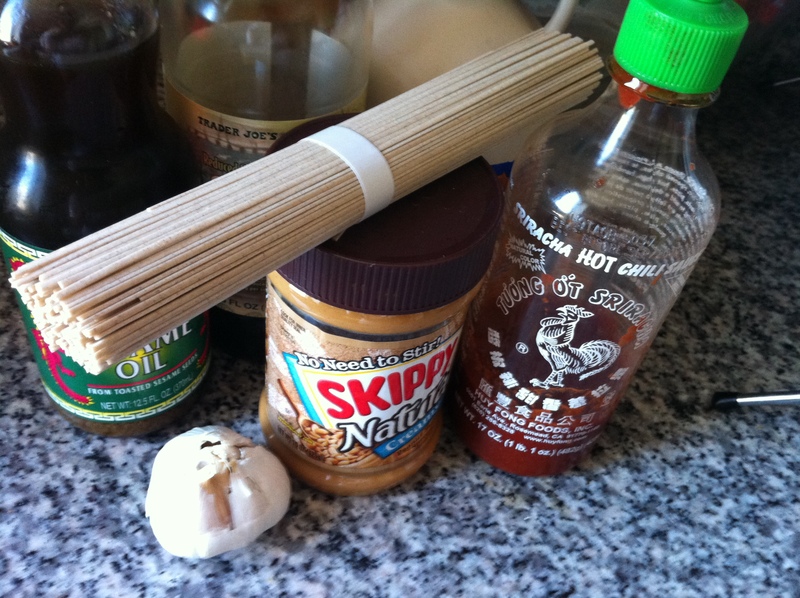 cook briefly until fragrant, and then add the peanut butter to the garlic oil. 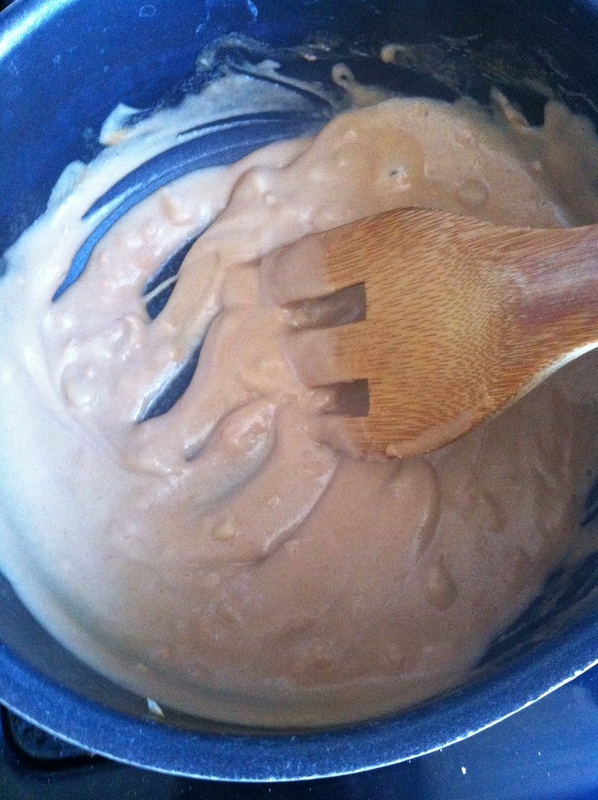 stir briskly to incorporate. once smooth, add about 1/2 a cup of the pasta/pea water and continue to stir briskly until incorporated. then when it’s smooth again, stir in a few splashes of soy sauce, a couple heavy squirts of sriracha, and about 1 second pour of maple syrup… adjusting to what you like 🙂 taste test! 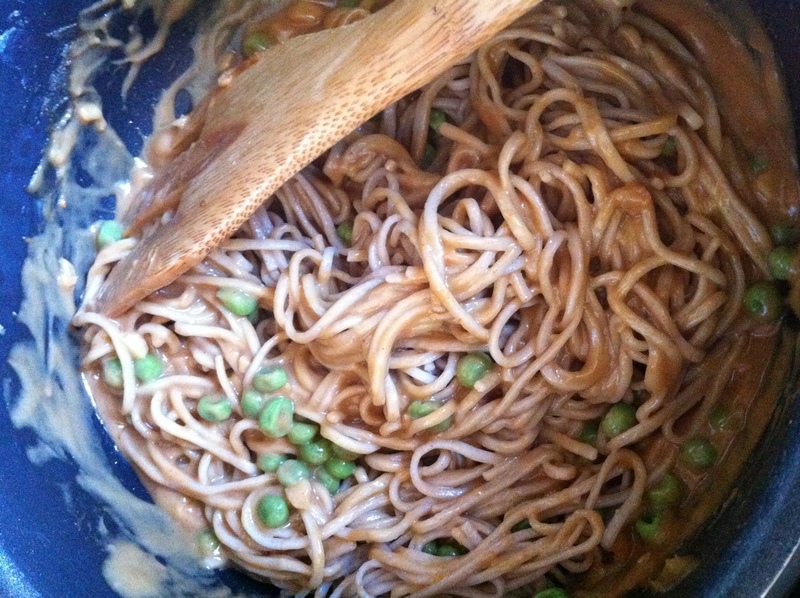 then throw your pasta and peas into the sauce and toss to coat! Yum! a nice new twist – will try this one! Looks so so good! What would go perfect is Morimoto Soba Ale.